I think it’s important for coaches and athletes to expand their base of knowledge by studying sports outside their primary focus. While I believe that a majority of a runner’s training needs to be running-specific to maximize potential, examining the techniques and training practices used by athletes outside the running world can open our eyes to revolutionary training and nutrition insights. Take running and bodybuilding as an example. At first glance, it might seem fruitless to look for training secrets across these two diametrically opposed disciplines: one sport celebrates the phrase “gaunt is beautiful” while the other strives to chisel muscle like a sculptor. However, I believe runners can learn something from the training and nutrition plans espoused by bodybuilders. Specifically, how to use protein isolates (different types of protein) to maximize recovery. Bodybuilders are masters at supplementing their training with protein at just the right time to fuel their muscles and spark recovery – something all runners could benefit from. To understand how runners can capitalize on this lesson from bodybuilders, we must first examine how protein works to help muscles recover and prevent muscle break down. Using this knowledge, we can then understand how supplementing with specific protein types at precise times of day can help take your recovery to the next level. To maximize recovery, runners need to keep their bodies in a muscle building state (or more scientifically an anabolic state). As you may already know, running causes the muscles to break down and form micro tears, which need to be repaired in order to get stronger and faster. Anabolism is the metabolic pathway that repairs these muscle fibers and stimulates muscle growth. The body needs energy for the anabolic process to occur. With an adequate supply of energy and nutrients, the body can quickly rebuild muscle and allow you to recover faster. However, when your body doesn’t have adequate fuel to sustain the anabolic process, it begins to break down muscle to supply the body with the energy it needs. This break down of muscle tissue is called catabolism. It’s pretty obvious to bodybuilders why you wouldn’t want to break down muscle tissue – muscles are the reason they spend hours in the gym. That’s why they consume protein shakes like runners do ice cream. Unfortunately, most runners fear that building muscle will “get them big”, so they avoid muscle building nutrients like protein. This causes many runners to be in a perpetual state of catabolism, which hampers recovery and doesn’t maximize fitness gains. 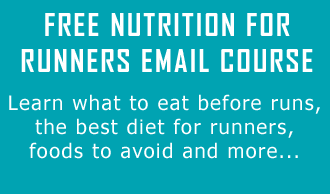 We wrote about this in further detail in our Protein for Runners post. The truth is, using protein intelligently and at the right times won’t make you bigger at all. In fact, it may get you leaner – not to mention recovered faster. So, here are the two main types of protein supplements you should be using as a runner and when you should be implementing them into your diet to maximize recovery. Your body undergoes the catabolic process every night while you’re asleep. While you’re sleeping, your body is literally eating its own muscle because you’ve been fasting all night long. When you’re trying to recovery from a hard workout or prepare your body for an upcoming track session, this is far from optimal. To delay and lessen the catabolic process at night, you need to supplement your diet with a protein that is slow to digest and that provides your body with muscle building nutrients all night long. Luckily, bodybuilders have done the heavy lifting for us (pun intended) and found the perfect slow-digesting form of protein – casein. Casein is a protein derived from milk that releases a steady stream of amino acids over a 3 to 4 hour period. Therefore, it is the perfect protein and ideal supplement to consume before bedtime. In one study, consuming casein protein before bedtime resulted in a 34% reduction in protein breakdown. In essence, consuming casein protein before bedtime could speed up your rate of recovery by 34 percent. Even if you’re taking casein protein before bed, you’ll still have some muscle breakdown when you wake up – one serving of casein protein can’t halt muscle breakdown for 7-9 hours on it’s own. Therefore, you need to halt the catabolic process as soon as possible, which means consuming a quick-digesting protein. Again, thanks to the help from our bodybuilder brethren, we know that whey is the fastest digesting form of protein. Like casein, whey is also a protein derived from milk and is the ideal way to release a quick dose of amino acids and proteins to starving muscles. Drinking whey protein causes an increase in blood amino acids levels in under an hour, with peak levels at just under 90 minutes. So, in the mornings you should consume a serving of whey protein to stop the catabolic process and keep your body on its muscle building trajectory. Likewise, whey is also the form of protein commonly used in recovery drinks because of it is absorbed by the body so quickly. The final step is combining what we’ve learned from our bodybuilder friends and applying it specifically to running. In the evening, you should have one serving of casein protein powder with a glass of milk. Personally, I find casein shakes blended with milk to taste pretty good (peanut butter is my favorite) and it’s a great substitute for empty-calorie desserts. As noted before, casein will reduce muscle breakdown while you sleep – giving a huge step up over Oreo cookies. In the morning, you should consume one serving of whey protein powder with a glass of water. This will halt the nighttime catabolism and spark muscle recovery. If you’re training hard, especially if you’re running twice per day, this will jump start the anabolic process like no other supplement combination. Plus, drinking the whey protein with the water will rehydrate you, something all runners could use help with. When shopping for protein powders, look for the first ingredient to be whey protein isolate for your whey protein and miceller casein for your casein powders. With whey, at least 80% of the supplement should be protein (divide the grams of protein by the grams per serving). For casein, this number should be over 65%. If you don’t want to shop around (the protein supplement market is saturated with products), I recommend Optimum Nutrition 100% Whey and Casein protein powder. They have a variety of flavors that taste good, are very well reviewed, and are a good price. If you’re looking for a way to boost your recovery rate and fine-tune your diet, adding casein and whey protein shakes to your routine could be just the ticket. Let me know if you’ve tried this combination or if you have any questions. Hi, that’s a very useful article, thanks. I’d like your views on the best timing for protein intake based on my schedule. I usually run in the mornings and do my strength training in the evenings after work (mostly follow the RunnersConnect schedules). I finish my strength training by 8pm, and am in bed by 10pm. Should I have my casein protein scoop immediately after the evening workout or just before bed? Also, your article says the best time for whey protein is in the morning. Is it best had before my morning run or after? And should I take the protein supplements on my rest days too? FYI, I am primarily on a vegetarian diet. I would take the whey in the morning, before you run. Then take the casein before bed. You’ll also want to take in some form of nutrition directly after both your run and strength training. You don’t need much after your strength session and it could be naturally foods, which are a little better. I thought we were supposed to focus on simple carbs before morning runs, not necessarily any protein? I usually don’t have much time to digest before my morning runs. So, I usually have a green smoothie (leafy greens and fruit) about 135-150calories and about 25-30g or carbs. Because I only have about 1/2 hour to digest before the runs and they seem to be easy enough for me to digest. Is it more important to have a whey smoothie instead? Or, do I just need to add a little protein to my current green smoothie? How much whey protein would be enough?? I have recovery smoothie right after my run with whey, tart cherry juice, almond milk, coffee, mixed berries, bananas and kiwi with the 4:1 ratio. Thanks for the article! I am the umpteenth runner guilty of not getting enough protein! The GoldStandard supplement seems to use artificial sweeteners (at least when reading comments on the Amazon.com website). I am not sure how much that would add up in the end. One user suggested using a product that uses “Stevia” instead. However, the GoldStandard seems to be pretty safe beside that point. Do you have any opinions or information on this (or alternative suggestions)? Thanks again! Do you have any suggestions of how to get these proteins from foods rather than supplements? Is Muscle Milk something you would recommend? I’m not sure if it’s more psychological than anything, but I feel as though my recovery time has improved ever since I started drinking Muscle Milk after my workouts; especially after those long runs. On my rest days, I drink a small container (8.25 oz) before bed. The only negative is that Muscle Milk does contain artificial ingredients. Thanks for this – it explains very well why I’m so hot while sleeping – and maybe why I’ve lost weight but have not lost much fat. I’m hoping that following this advice will help to loose weight (fat) & not muscle. Thank you so much so I can basically continue my protein shake routine and I don’t have to decrease my time spending weight lifting. Hi , I have started running in evenings after office. Should I take whey proteins after my run then? Just a couple of hours before bed ? Also if I do not run much -say just 3-4 Kim’s the should I take whey protein? Hi Prabhat, you do not really need to take protein for that short of a duration of run. It would be best to do your run from the office, eat dinner, and then go to bed a few hours later. You should be able to get enough protein in through your dinner. In his book, Ironman Champion Chris “Macca” McCormack talks about how he learned about hydration from bodybuilders. In particular, he sought to find out how to get fluid into his cells rather than just into his muscles. Macca wanted to do this so that he would be more deeply hydrated before Kona, while bodybuilders seek to do it because it makes their muscles look larger, yet still defined. More magnesium was the answer the bodybuilders gave him. Thank you very much for the information. I have a very specific question: I am lactose intolerant so unfortunately both casein and whey protein are contra indicated for me. Would you have any suggestion as a replacement for these proteins? Especially the anabolic casein? But also to replace the whey?